Many companies use SAP Solution Manager to monitor their SAP and non-SAP systems and for business process monitoring too. However, a lot of them do not use the Service Desk module of Solution Manager. Instead, they use ServiceNow for IT service management. A common request is to integrate the two platforms to leverage the benefits of both worlds. 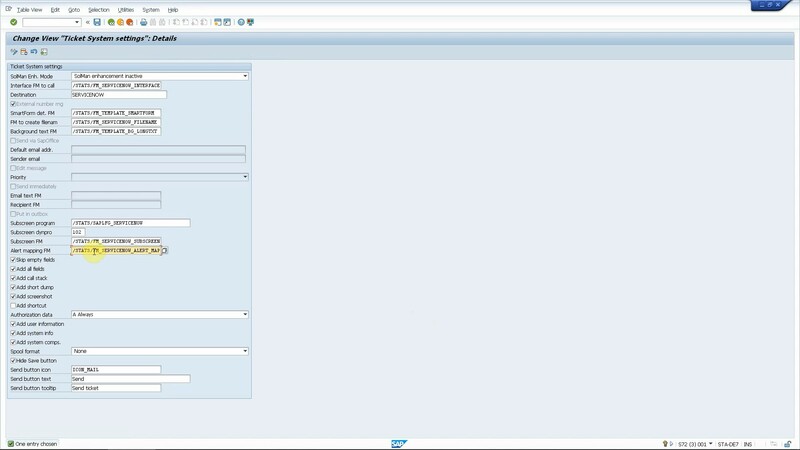 Once you have configured the monitoring in SolMan (which is not in the scope of this blog post), all you need to do is to specify our SAP add-on as a third party connector for your alerts. 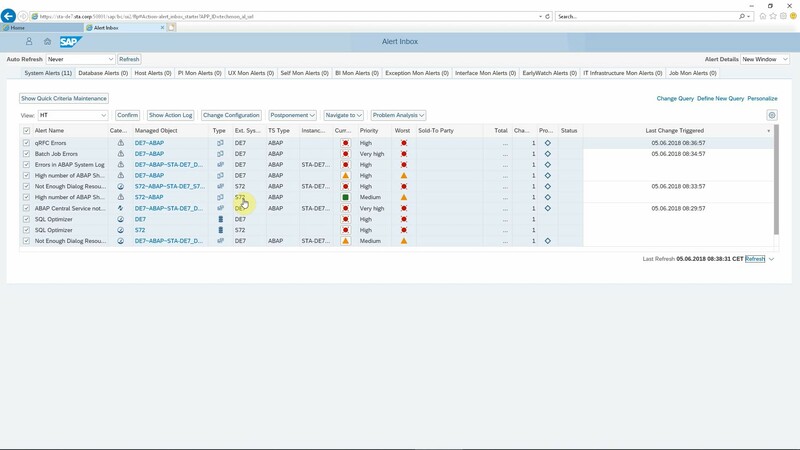 After setting this, you are ready to forward your alerts to ServiceNow. 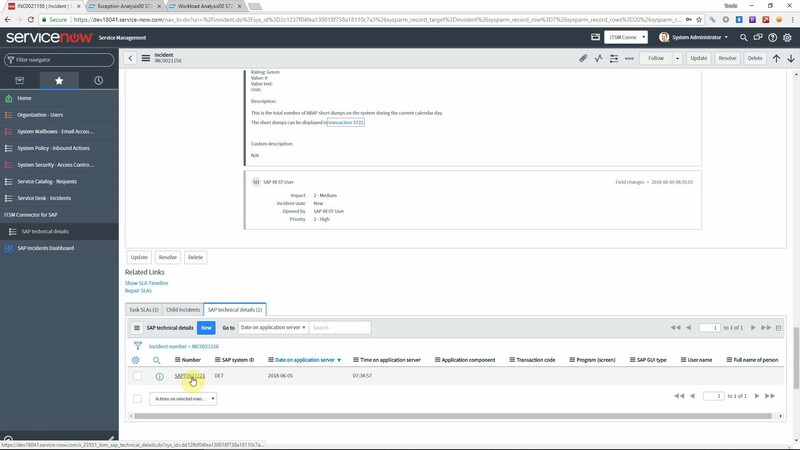 You just need to define which alerts you want to forward based on managed object type and name, alert severity, rating and other fields. In a simple customization screen, you can define which alerts to forward. 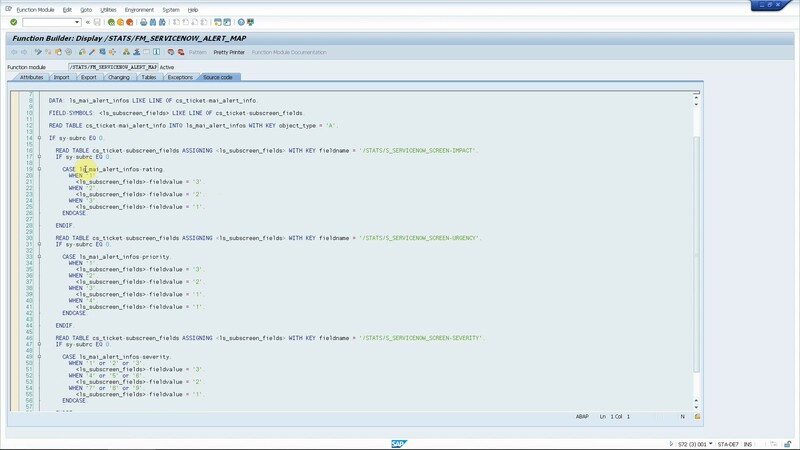 Using a custom ABAP logic, you can map ServiceNow field values (priority, severity etc.) to the properties of Solution Manager alerts (rating, severity etc.). 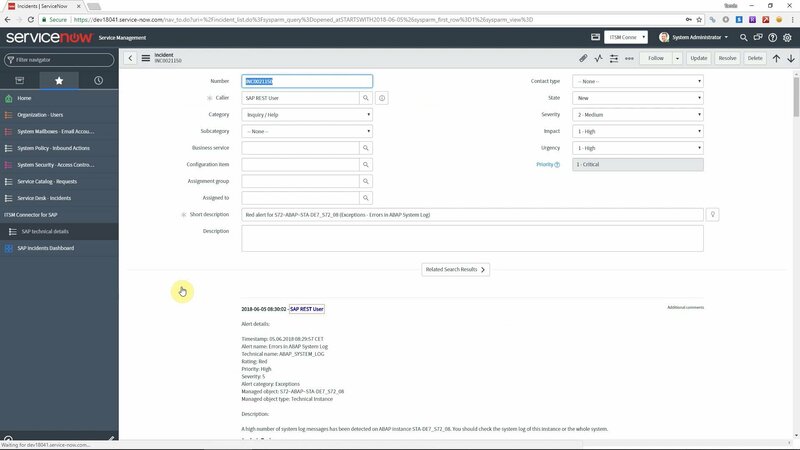 Finally, some basic configuration is needed to connect your SolMan and ServiceNow systems (assign text templates to alerts, set up RFC connection to ServiceNow etc.). Now it’s time to see how this works. We have made a lot of effort to trigger as many alerts as we could in order to have many entries in our SolMan Alert Inbox. Whenever an alert pops up in the Alert Inbox, a ServiceNow incident is created automatically, without any human effort. ServiceNow fields are set according to the configuration in SAP, incident description and short text contain meaningful information and even direct links to relevant SAP transactions. 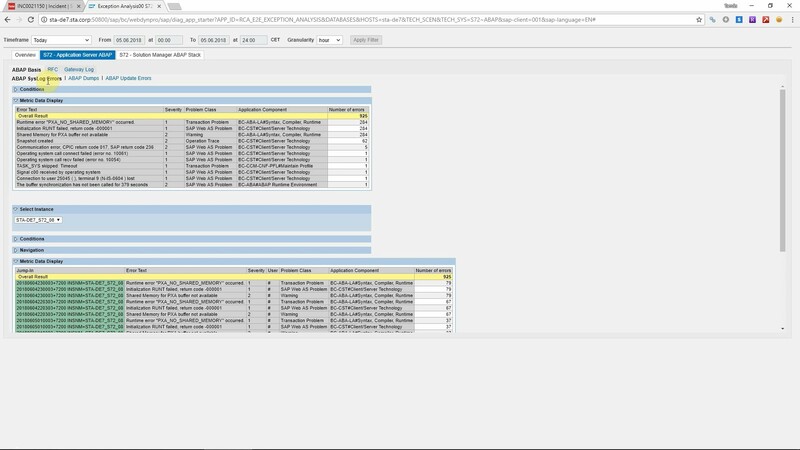 This allows your service desk to take immediate action to analyze the problem and to provide a solution faster. 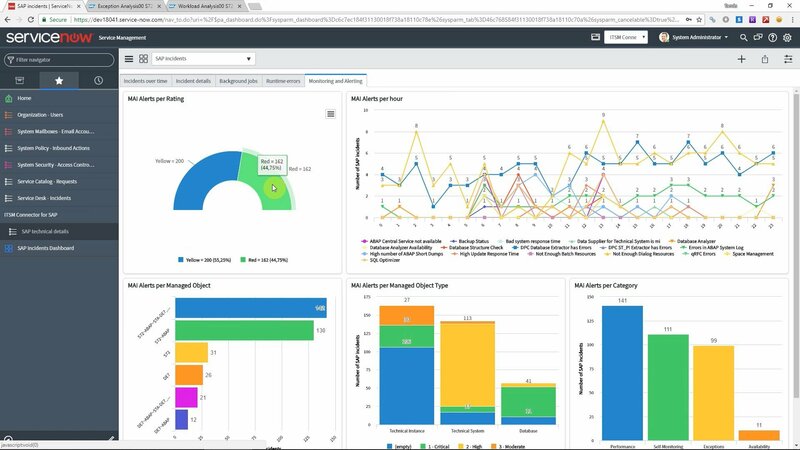 The obvious benefits of this integration are reduced human effort, quicker reactions to alerts and maximizing the ROI on your investments in ServiceNow and SAP Solution Manager. However, there is more than that! 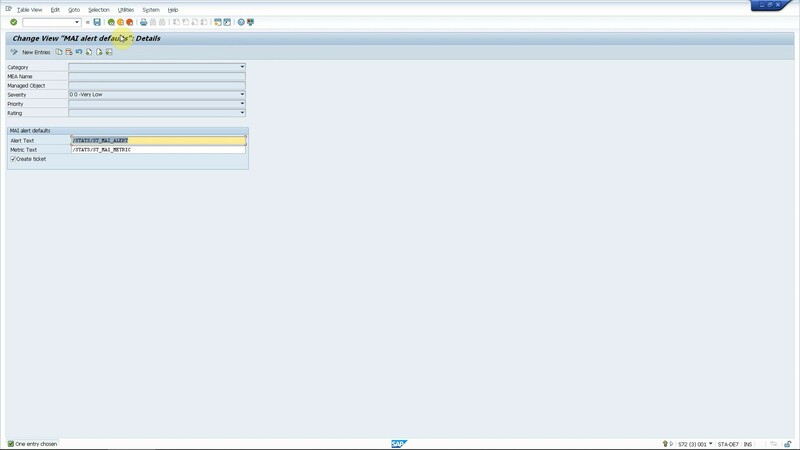 All relevant SAP information is added to custom ServiceNow tables. 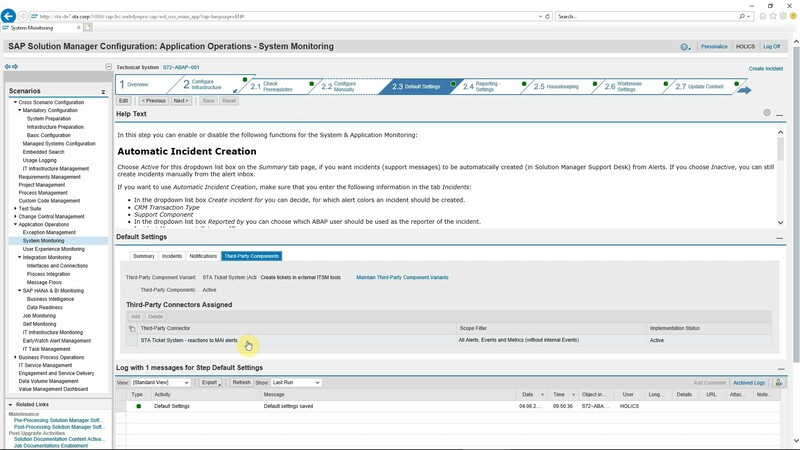 Details of the affected SAP system (managed object), alert, event and all metrics are saved in ServiceNow and displayed on the incident form as a related list. Clicking on one item, you can get all details that can help you to understand the problem and to provide a solution faster. We also deliver a dashboard on SAP related incidents with a tabsheet dedicated to incidents raised for Solution Manager alerts. This allows you to find trends, identify bottlenecks and better plan your resources by providing insights into your monitored systems and processes. You can watch how the integration works in the video below.